So finally summers are here.I personally do not like summers at all,the heat just drives me crazy.It is just the starting of April and damn it has become so hot.I remember when we were in school it never used to be so hot but due to the adverse effects of global warming on our planet it is becoming so hot day by day. Summers make me dull,I am a total winter girl,I go into hibernation during summers. I do not feel like going out due to the heat and my A.C. is my best friend during summers moreover because I have migrane and the scorching sun aggravates my headache so I prefer staying indoors during the daytime.I prefer going out only in the evening and at night.The only thing that I like about summers is that I can bring out my bright pinks,oranges and coral babies out of my stash and show them some sunshine. I love my bright pinks,fuchsias,oranges and corals a lot.In summers I usually apply some BB cream all over my face, some blush and bronzer,a thin liner and a bright lip colour. 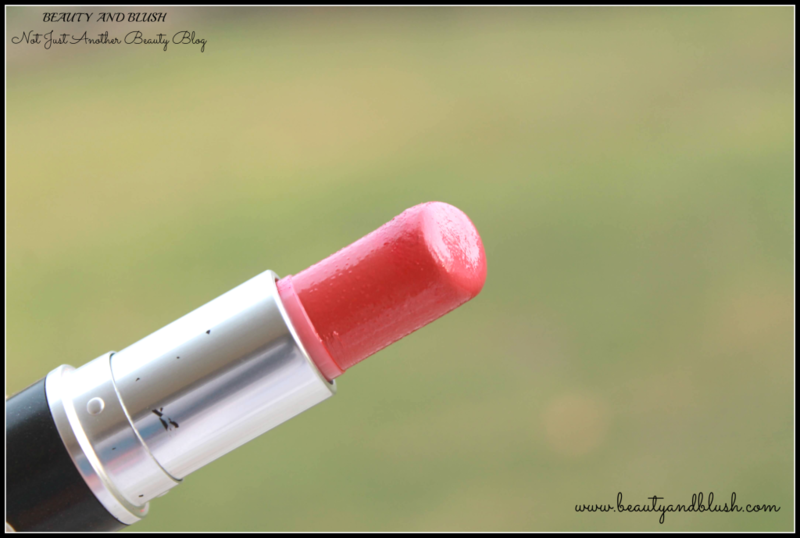 One of my prettiest summer shade is the Mac Crosswires Cremesheen Lipstick.I bought it last year during summers and fell in love with it.I can wear this shade each and every day,it is such a beautiful coralish pink shade. Colour plus texture for the lips.Stands out on the runway.Simmers on the street.What made Mac famous. 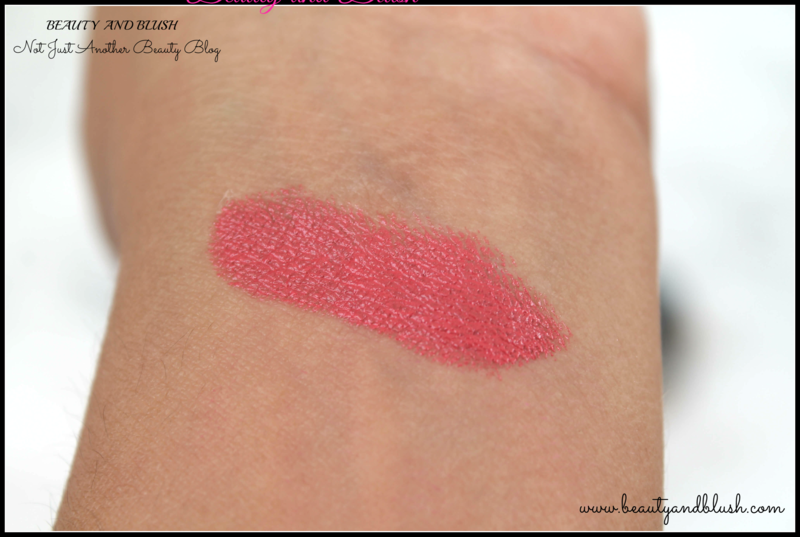 Price of the MAC Crosswires Cremesheen Lipstick:Rs.1450 for 3 grams. 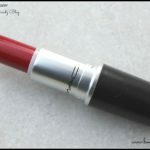 Shelf Life of the MAC Crosswires Cremesheen Lipstick:3 years from the date of manufacture. 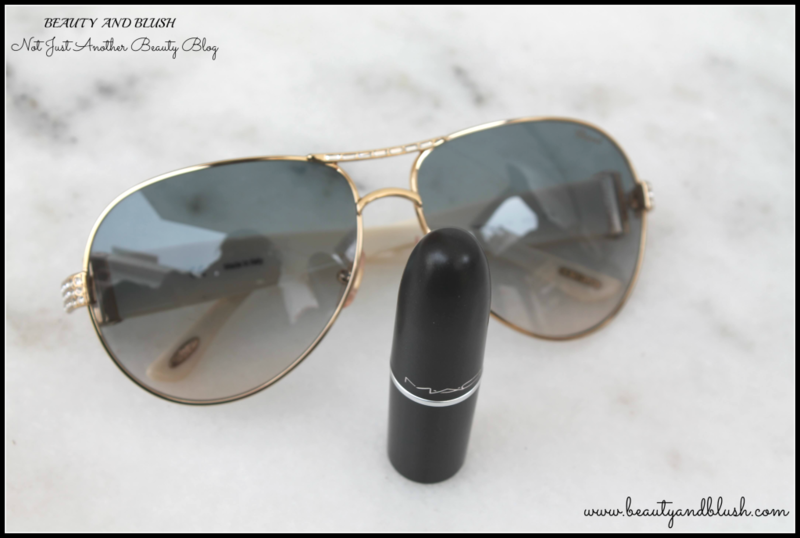 Mac Crosswires has the classic bullet MAC packaging with the shade name at the bottom of the bullet.It is travel friendly too. Mac describes Crosswires as a clean pink orange.It is such a lively and girly colour.It is quiet a bright toned colour and is for someone who loves bright colours.It is a pop of colour on the lips. 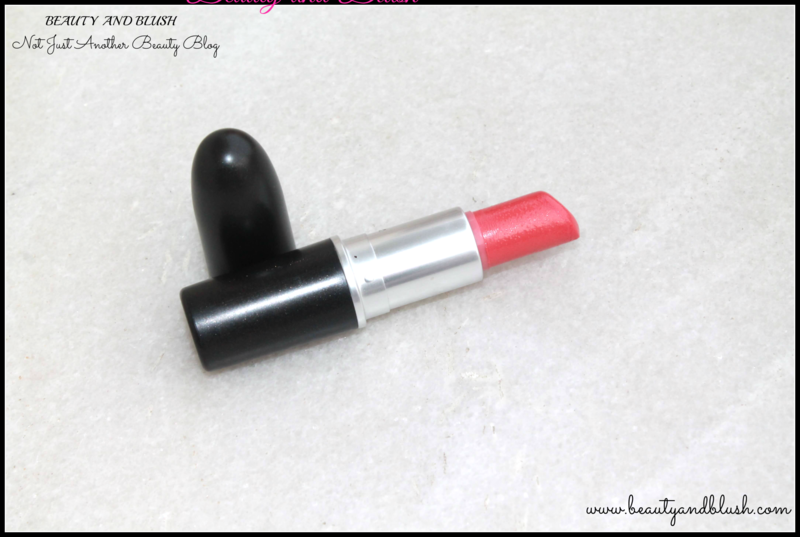 This coral/orangey/pink lipstick is a really gorgeous and vibrant shade.It is a perfect summer and spring time shade. Crosswires is a flattering shade of coral with pink undertones. The texture of Mac Crosswires is just so amazing.Crosswires is a creamy finish lipstick with no shimmer whatsoever.It glides on the lips like a dream and is so light on the lips without any tugging or pulling.It has a very nice sheen to it and is the most perfect texture for summers. It is very hydrating on the lips and not all drying.It doesn’t make me feel like I am wearing anything on my lips. Cremesheen lipsticks are known to have a decent pigmentation with glossy finish to it.Even a single swipe is enough for suitable coverage but I personally like to build on the colour and apply atleast 2 coats of the lipstick till I am satisfied with the shade I desire.I would say one swipe for a slight tint and a more fresh and more natural everyday look,a few more swipes for a more bolder look.It is my most favourite shade. This one stays on my lips for 4-5 hours.It does fade away if you have meals in between leaving behind a very coralish pink tint on the lips. 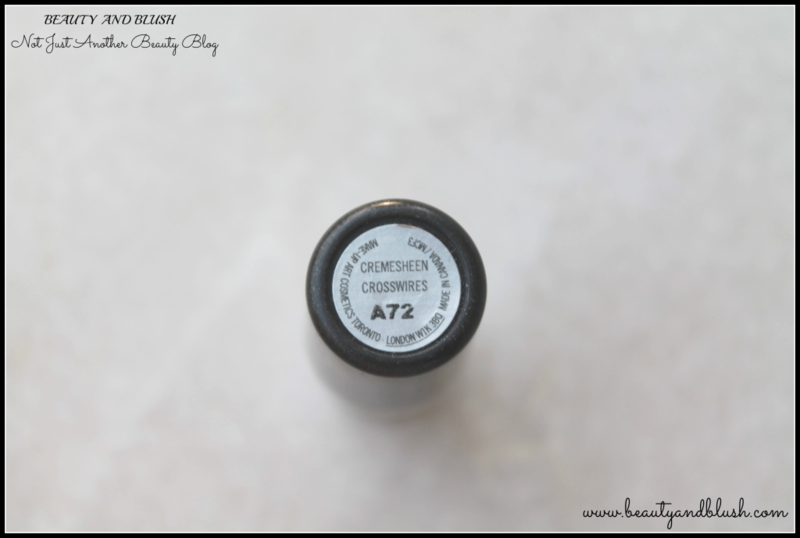 Crosswires is a warm,fresh and bright shade and it instantly lightens up my face on application. 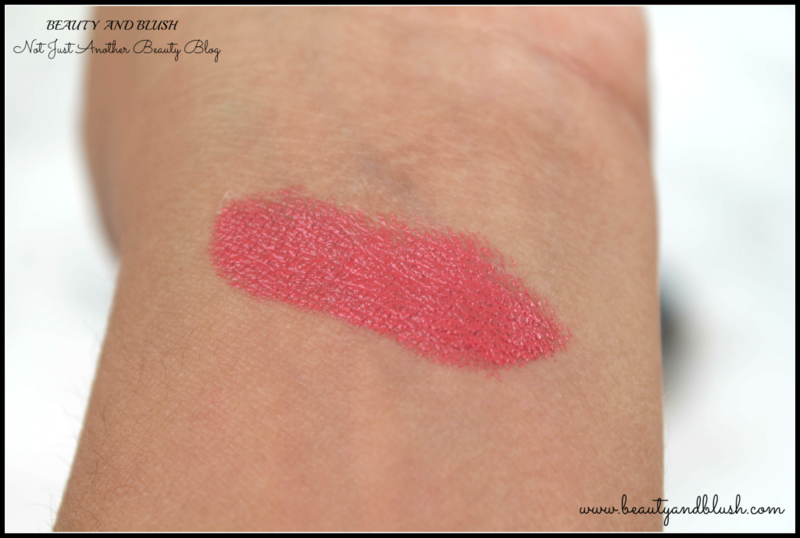 The texture is nice with just the right amount of gloss/sheen in it.I just love this shade.I am comfortable wearing bright colours on my lips and crosswires totally fits my description of a good bright lipstick.It is a perfect summery colour. It is not at all drying on the lips but it does settle down a bit on dry and flaky lips so remember to exfoliate your lips before application.It is a very pigmented colour.I think it will suit fair to medium skintones.It has a beautiful shiny finish.I would suggest you to apply a concealer on your lips if you have any sort of pigmentation because this lipstick does not hide any pigmentation. It can be worn as a daytime as well as a night time shade.Goes well with indian as well as western outfits.You need just a bit of foundation or BB cream,lightly kohled eyes and crosswires on your lips is a perfect combination. 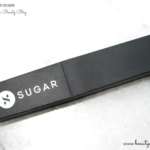 ◦ Texture is amazing,so soft and buttery on my lips. 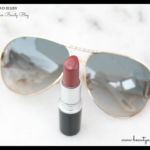 ◦ Perfect shade for summer and spring time. ◦ Bright pop of colour on the lips. ◦ Does not dry out the lips. ◦ Leaves behind a lovely pink tint on my lips. ◦ May not hide the pigmentation of the lips. Would I repurchase the MAC Crosswires Cremesheen Lipstick? 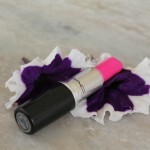 Would I suggest the MAC Crosswires Cremesheen Lipstick to anyone? 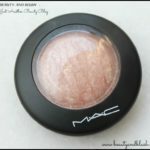 Yes,I would recommend it to each and every girl because it is such a girly shade and everyone should have Mac Crosswires in their stash. i like the shade so much. Nice review ! Thanks a lot Rishika.It is a perfect summer shade. Anubhuti it is a gorgeous summery shade.Thanks for liking my review. Thank u so much Anamika.It is indeed a pretty shade. Yeah Purva it is indeed a beautiful summery shade. Lovely shade…I really wanted this but its too light for me ! 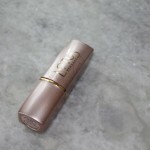 Lana it is a lovely shade.First I also thought that it is light for me but once I applied it I fell in love with it. Looks like a lovely color, perfect for this season! Yasmin it is a perfect spring/summer shade. 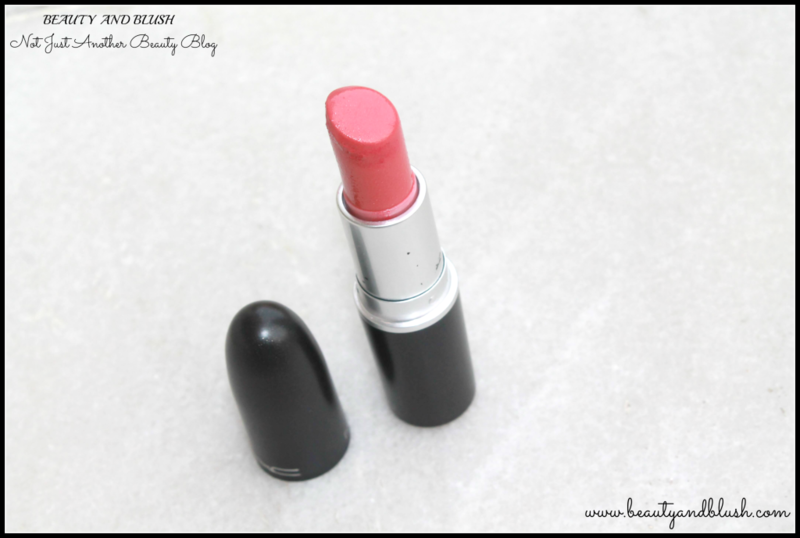 Megha it is totally a perfect shade for summers. Gorgeous shade. But I wonder if it would work on my darker skin tone. Sangeeta I agree it is a gorgeous shade but I am not too sure whether it will suit darker skin tone or not. 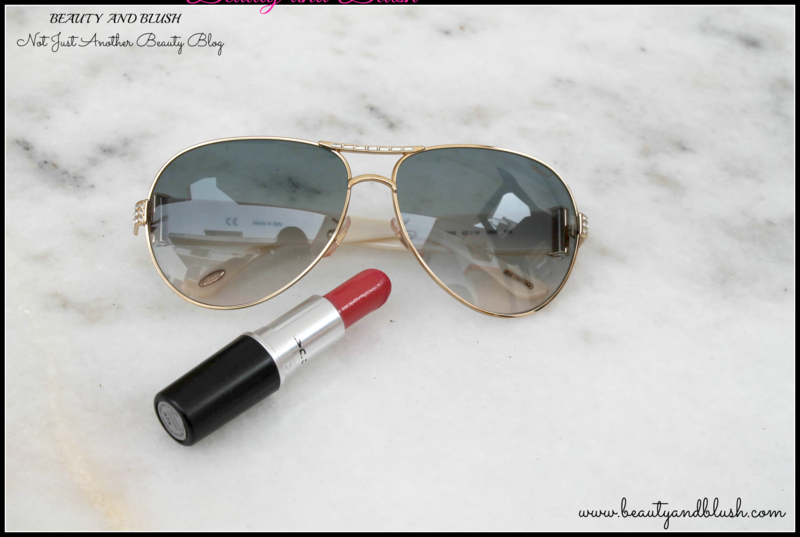 Yes Neha it is an awesome summer shade.Truly a must have for this summer. Yeah Pratima Crosswires is a great summery coral shade. Love it to bits.